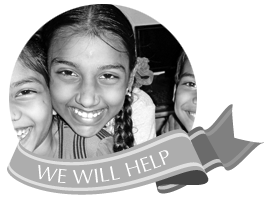 WWH Charitable Foundation is a trust established to carry out services and activities for people in slums / villages and uplifting them and bringing them closer to the mainstream population. In the near future, our vision is to continue establishing new programs so as to continue to educate the community about local & global issues, community living and the possibility of achieving a bright future for their children despite personal hardships; through improved health care; insisting on the right to education, especially for girls and community involvement both in and outside the community. We will accomplish this by mutual exchange of ideas and partnering with communities, philanthropists and other NGOs as well. We look forward to a brighter future specially for families who struggle with issues of caste, unemployment, lack of education and unhygienic lifestyle. Every life counts and we value every life! WWH will achieve Systemic Change in the near future in areas where it acts through the efficient management of resources, the active participation of the community and the involvement of public institutions. “We are just ordinary people, coming together to help achieve Positive Systemic Change in the communities that are victims of poverty, caste, gender, lack of opportunities and lack of encouragements. We want to see the people in need being helped irrespective of caste, religion, gender, and color. We are full of energies and burning with passion to transform the lives of people, who are mostly located in the slums and villages.